Matty and one of the Bachelorette's enjoy an extravagant single date on the water. Later, twelve lucky ladies are chosen to go back in time and enjoy a Henry VIII inspired date. Matty treats one of the biggest characters in the house to a day at the Sydney Polo Club. Later, at the cocktail party, battle lines are drawn as the Bachelorettes fight for time with Matty. Matty travels the country to meet the friends and families of the final four Bachelorettes. Will he survive the grilling from protective parents and friends and meet their expectations? Things are about to heat up: it's Bachelor season! Hearts will melt as 22 of Australia's most eligible ladies vie for Matty J's attention as he returns in the hope of finding true love. Matty takes one lucky lady on a Moroccan inspired single date. Later, four Bachelorettes join Matty on a special group date. Finally, who will be sent home in a heart breaking rose ceremony? Who has made the best first impression? Who will Matty choose for the first single date? Later, who will catch Matty's eye on the group date. Two bachelorettes find themselves on a dreaded double date. Later, at the cocktail party, competition for Matty tips one girl over the edge, resulting in a shocking meltdown & a dramatic rose ceremony. The Bachelor Australia, also referred to as simply The Bachelor, is an Australian reality dating program for television based on the world famous American show with the same name. 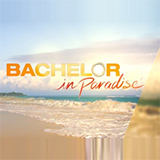 This is an elimination-based show revolving around one Bachelor and a group of bachelorettes who compete to be the Bachelor's choice at the end of each season. By going on dates with the candidates, in group at first and later one-on-one, the Bachelor will eventually need to make a choice and decide whether or not he likes one of the bachelorettes enough to take their relationship to the next level. Once there are four women left, the Bachelor will visit their home towns with them where he meets their families. The last two women get to meet the Bachelor's family, and he will choose the winner soon after that, which usually results in a proposal. 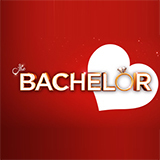 The Bachelor Australia's first season aired for in September of 2013 on the Ten Network. 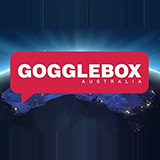 It was produced by the company Shine Australia, as would the following two seasons be, but production was taken over by Warner Bros. International Television Production from the fourth season onwards. Up until today though, the network for The Bachelor Australia is still Ten, and you can find all past episodes on TVCatchUpAustralia.com. Of the four seasons of the Bachelor Australia that have aired and finished so far, three of the bachelors are currently either engaged, married or expecting a child with the bachelorette they finally chose to date after their run on the show. If you want to look back on past seasons and see how these happy relationships came to be, all you need to do is visit TVCatchUpAustralia.com, go to the page of The Bachelor Australia, and look for the episodes you want to see. It really is as simple as that. You tried for it not to happen, but it did. Maybe you had to run some last-minute errands, or maybe you had your mother's birthday party, or a date you really could not cancel. In the past this could've worried you, but with TV Catch Up Austrralia these worries are a thing of the past. Instead you can just look for the episode of your choice on our website, select the episode you missed out on and start watching. Catching up on your favorite TV shows has never been so easy. With TVCatchUpAustralia.com it has never been easier to keep track of this season's Bachelor's romantic advances. 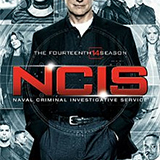 You can watch and re-watch any episode you want with the help of only a few clicks of your mouse, and what makes it even better is that you can do so whenever you want and from wherever you are located as long as you have access to an internet connection. Just try it out and you'll never skip a detail from the show again.